Used in meteorology, hiking, camping, expeditions, agriculture, research, aviation, sailing, long-range shooting, military operations and more. 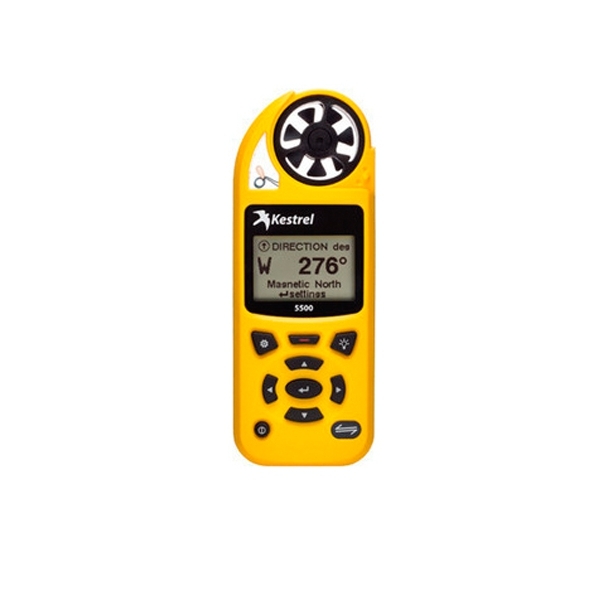 These added features make the 5500 the Kestrel Meter of choice for military professionals, HAZMAT teams, and flight crews. Like all of the new 5000 series, it can store up to roughly 10,000 data points. If you select the Bluetooth Kestrel LINK model, your meter includes custom communication software designed to quickly and easily configure your data transmission frequency, download logged data, graph data and transfer data to other applications. 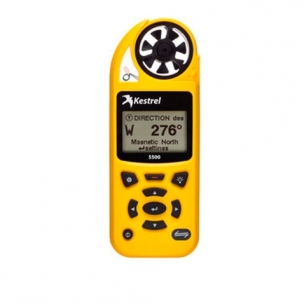 It is no longer necessary to purchase an interface separately, the new Kestrel Meters with Bluetooth include the software necessary to communicate wirelessly at a range of up to 100 feet with a clear line of site (walls or obstacles will effect this range). Note, you will need a Dongle. A workaround if you don't have this with you would be to upload your data to your mobile smartphone and email it to yourself and open it on your Mac/PC. On the 4000 series you did not need the Dongle. All 5000 series meters will have both a bright green backlight, which is great for even high sunlight conditions, and a night-vision preserving backlight. The red night vision (NV) backlight incorporates optical filter to reduce overall brightness and minimize blue and green spectrum light to preserve night vision. (Note: This 'night vision' is not compatible with night-vision equipment.) Basically, with the red backlight, your eyes don't need to adjust when looking from your meter to the horizon in night time use.